In these conditions of sale, “we” means John E. Wright & Company Ltd trading as Instaprint (and “us” and “our” will be construed accordingly); and “you” means our customer or potential customer for products (and “your” will be construed accordingly). The advertising of products on our website constitutes an “invitation to treat”; and your order for products constitutes a contractual offer. No contract will come into force between you and ourselves unless and until we accept your order in accordance with the procedure detailed below. Before you place your order, you will have the opportunity of identifying whether you have made any input errors by reviewing your details before the payment pages. You may correct those input errors before placing your order by clicking the ‘back’ button on the page. 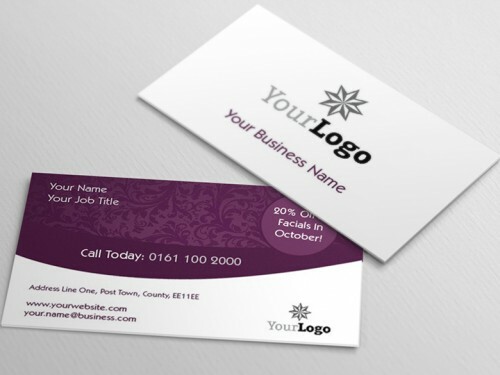 Business cards, business stationery, letterheads, compliment slips, printed envelopes, banner stands, banners, pop up displays, outdoor signs, flyers, leaflets, postcards, folded leaflets and cards, posters, display boards, canvas prints, booklets, paperback books, dissertation and thesis printing and binding, NCR pads and sets, CAD printing. Prices for products are quoted on our website. The website contains a large number of products and it is always possible that some of the prices on the website may be incorrect. We will verify prices as part of our sales procedures so that a product’s correct price will be stated when you pay for the product. In addition to the price of the products, you will have to pay a nominal delivery charge, which will be as stated when you pay for the product unless you elect to “collect from store” in which case delivery charges will not apply. The prices on the website exclude all value added taxes (where applicable). Payment for all products must be made by either, Credit, Debit Card or Paypal. If you dispute any payment made to us you must contact us immediately and provide full details of your claim. If you submit an unjustified credit card, debit card or other charge-back then you will be liable to pay us, within 7 days following the date of the charge-back: (i) an amount equal to the amount of the charge-back; (ii) all third party expenses incurred by us in relation to the charge-back (include charges made by our or your bank or payment processor or card issuer); (iii) an administration fee of GBP £12 (including VAT); and (iv) all our reasonable costs, losses and expenses incurred in recovering the amounts referred to in this paragraph (including without limitation legal fees and debt collection fees). Our prices are based on our Standard Delivery which is 5-7 working days from the date of our order confirmation. Where Express Delivery has been selected, that is, 3-4 working days from the date of our order confirmation, a surcharge of 15% is added before VAT at the checkout. The first working day commences on the working day a print ready PDF file is received by us provided it is received before 9.30am on that working day. If received after 9.30am then the first working day will commence the following working day. Every endeavour will be made by us to deliver all orders within the agreed time frames but are not guaranteed. In the unlikely event that we fail to deliver an Express Delivery within the 4 working days then the 15% surcharge will be refunded in full and in the event that we fail to deliver a Standard Delivery order within 7 working days we do guarantee that dispatch of the product ordered will be within 30 days of the later of receipt payment and the date of our order confirmation unless there are exceptional circumstances. We will only deliver products within mainland United Kingdom within the time frames stipulated and for the single delivery charge charged at the checkout, but we are willing to enter into a special arrangement if delivery is required outside these areas, the terms and conditions to be discussed and agreed between the two parties. Similarly, where “Panic Turnaround” is required a special arrangement is agreed between the two parties by discussion and written confirmation of the terms and conditions of that arrangement. Nevertheless a surcharge of at least 25% on the standard advertised price will be incurred. You have a right to cancel an order as long as the print process has not started and provided that it is not as a result of you finding a cheaper price elsewhere. The print process is deemed to have started once our graphic design team have accessed and opened any files supplied. Where a printed proof has been ordered and the print order subsequently cancelled for whatever reason, then a refund will be given for the total value of the order less the cost of the printed proof(s) less a £50 administration charge. We will not accept any liability for errors, grammar, spelling or omissions made on artwork approved or supplied by you. If the order arrives damaged, or defected, it is necessary to inform us about this fact within 10 days from delivery. We reserve a right to ask for samples of damaged or defected goods before we offer a re-print or refund. On the sight of samples we will decide on how to proceed depending on the fault. If we are at fault we will offer a re-print, or partial refund or full refund depending on the error. Claims received later than 10 days after delivery day might be rejected. All sales are final since we customise each order according to your request. We give no refunds or credit but if we verify that we made an error, we will re-print your order. The limitations and exclusions of liability set out in this Section and elsewhere in the conditions of sale: (a) are subject to the preceding paragraph; and (b) govern all liabilities arising under the conditions of sale or in relation to the subject matter of the conditions of sale, including liabilities arising in contract, in tort (including negligence) and for breach of statutory duty. The Customer shall be responsible for obtaining all necessary authorities and consents to reproduce (non-exhaustively) artwork, photographs, copyright text and the like (“Materials”) prior to instructing us to reproduce the same. The Customer shall indemnify and hold blameless us against all demands, actions, costs, expenses (including but not limited to legal costs and disbursements), losses and damages arising from or suffered or incurred by reason of any claim (including but not limited to the defence of such claim) that the reproduction of the materials by us infringes the intellectual property or other rights of any third party or misuses the confidential information of a third party. All design Work commissioned or ordered by the Customer and originated by us shall, as to its material elements and as to the copyright or design right in relation to it, belong to Instaprint trading as John E. Wright & Company Ltd. The Customer shall not have any right to reproduce or authorise any other person to reproduce any such design work in whole or in part or do any act which would, in the absence of written authorisation by Instaprint trading as John E. Wright & Company Ltd, infringe any copyright or design right which may subsist in relation to any such design Work. We may, at the request of the Customer, assign the copyright and design right of design Work to the Customer upon payment of our expenses in relation to such assignment. These conditions of sale will be governed by and construed in accordance with English law, and the courts of England and Wales will have [non-]exclusive jurisdiction to adjudicate any dispute arising under or in relation to these conditions of sale. We have a policy of continuous product development and reserve the right to amend the specifications of any goods or products without prior notice in relation to future sales. Products supplied may differ as a consequence of multi-standard colour systems, notably the international screen based colour system of RGB and the print colour system of CMYK. We endeavour to display and describe as accurately as possible the printed colours of our products that appear on the website. However we cannot guarantee that your monitor’s display of any colour will accurately reflect the colour of the product delivered. Our full name is John E. Wright & Company Ltd as Instaprint.